Yes, he TOTALLY enjoyed having us scratched his neck since he couldn’t quite reach that sweet spot. This was how Lego looked like after the visit to the vet on Sunday (26 June). 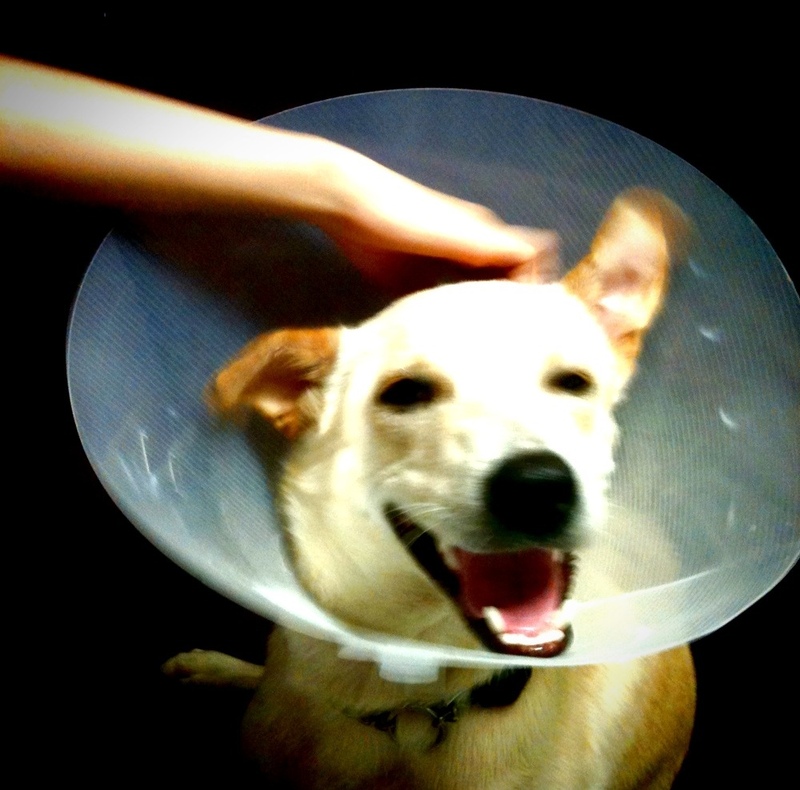 He had to wear a plastic satellite dish around his neck because he kept licking his medicated cream off his fur. He is about 11 months and two weeks old here and he weighs around 22kg. That’s slightly under half her weight. Yet he feels like a ton when he jumps on you enthusiastically to welcome you, wagging tail and all. What you don’t see here is how he kept hitting into us when trying to navigate his way around the house or getting us to pat him. What you also don’t hear is the loud yelps we made whenever his satellite dish crashed into our shins. AND LEGO, IT REALLY REALLY HURTS.